ONI Bureau: —– MeT issues thunderstorm and lightning warning for Balasore, Mayurbhanj, Keonjhar, Nayagarh, Rayagada, Gajapati, Khordha, Cuttack districts till 11 pm. —– 2 more sluice gates of Hirakud Dam opened due to increase in water inflow following heavy rainfall in the upstream of the river, total 8 gates opened. —– “BJD is shooting itself in the foot by voting for the NDA candidate when NDA has declared its goal is to defeat Naveen Patnaik’s party! The margin was only 20 votes. If the BJD had acted as a true Opposition party, the result would have been different,” tweets P Chidambaram. —– While thanking BJD for supporting Harivansh Narayan Singh for deputy chairman post of Rajya Sabha; Dharmendra Pradhan rules out BJD-BJP alliance in Odisha. —– Man commits suicide after hacking cousin brother to death with an axe at Udayagiri Village in Kandhamal district over suspected past enmity. —– Candidate dies while appearing for a physical test of OSAP; died while undergoing treatment. —– Military band of 120 Infantry (TA) Battalion-Bhubaneswar performs at Indira Gandhi Park. —– Girl student of Keonjhar degree engineering college alleges ragging by 4th year girl students inside hostel last night; student admitted to Keonjhar hospital last night. —– The cabinet committee on economic affairs has given its approval for the continuation of Pradhan Mantri Gram Sadak Yojna beyond the 12th five year plan: Union Minister Ravi Shankar Prasad. —– Cabinet has approved amendments in law relating to triple talaq. We’ve proposed 3 changes. 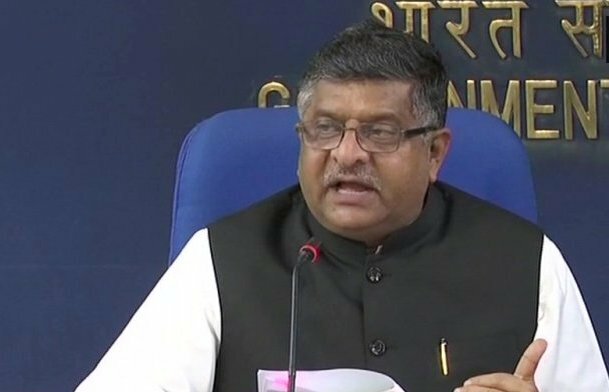 If any husband gives triple talaq instantaneously & breaks marriage then FIR shall only become cognizable when it is filed by victim or blood relation or relation by marriage:RS Prasad. —– Triple Talaq Bill to be tabled in Rajya Sabha tomorrow. —– National Commission for Backward Classes (Repeal) Bill, 2017 passed by Lok Sabha. —– Kerala rains leave 24 dead, Cochin airport opens. —– SC to hear plea against killing of 15 Maoists in Chhattisgarh. —– 12,849 trees cut in Delhi since 2015. —– CCEA approves release of pulses at discounted rate to states. —– Lok Sabha passes GST amendment bills. —– National Sports University Bill gets Parliament’s nod. —– Maratha quotas: Maharashtra shutdown ends with violence. —– Presently, the matter is pending before Westminster Magistrates’ Court, London. Matter will be again heard on 12 Sept 2018. We will continue to press upon them to have all efforts made to bring him back to India: MEA on extradition of Vijay Mallya.